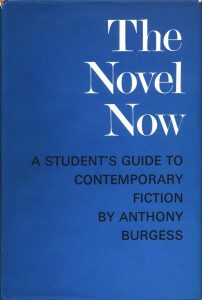 In 1967, Burgess wrote The Novel Now, a survey of literature as he saw it in the years following the Second World War. He gives specific attention to the dystopian novel and analyses some of the books that he deems the best examples of the genre. In his discussion, some of the inspirations for Burgess’s own 1960s dystopias The Wanting Seed and A Clockwork Orange can be seen. These extracted paragraphs show his interest in the political, the consumerist, and apocalyptic dystopia. From Huxley on, the creators of dystopias were impelled not by a pure science-fiction desire to tickle the imagination but by a moral concern which needed the form of a fable rather than of the psychological novel. George Orwell wrote a number of social novels and autobiographical tracts — Down and Out in Paris and London, The Road to Wigan Pier, Keep the Aspidistra Flying, Coming Up for Air — before coming to the notice of the whole world with Animal Farm, a brilliant political parable. 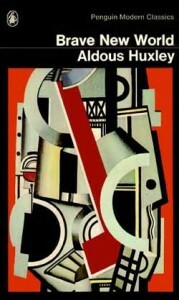 Nineteen Eighty-Four, Orwell’s last novel, is one of the few dystopian visions to have changed men’s habits of thought. It is possible to say that the ghastly future Orwell foretells will not come about, simply because he has foretold it: we have been warned. Huxley himself admitted, in re-introducing Brave New World to the post-war age, that Nineteen Eighty-Four gave a more plausible picture of the future than his own novel. Whether Orwell himself, were he alive today, would withdraw any part of his prophecy we do not know: he was mortally sick when he made it. The memorable residue of both novels is the fact of the tenuousness of human freedom, the vulnerability of the will, and the genuine — verifiable in real life — power of the scientist. One of the dangers of the scientific approach is its love of generalizations. Consider a man scientifically (as Huxley, with ironical purpose, often does) and all that makes him a unique individual is systematically eliminated. Thus, the scientifically run community can find no place for the eccentric or the exceptional. This is the moral of both Brave New World and Nineteen Eighty-Four. All these visionary novels are by English authors. 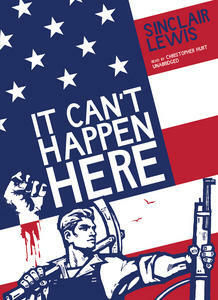 But America has had its own bad dreams, like Sinclair Lewis’s It Can’t Happen Here (shamefully neglected) with its closely drawn picture of a democratic United States turning fascist. In a sense, this nightmare of the nineteen-thirties had been prefigured in the same author’s Babbitt, just after the First World War, with its study of socially repressive forces of American capitalism — expressed in small town ‘boosterism’. George F. Babbitt, a typical real-estate broker of his age and country, makes odd feeble gestures of revolt against the reactionary sanctimoniousness of Mid-West Zenith (‘the Zip City’) but gives in because his whole personal ethos derives from boosting, go-getting and the tame social orthodoxy. He is already conditioned to the materialist heresy we may term Americanism. This is a comic novel, but it shows the sharp teeth of the social critic. 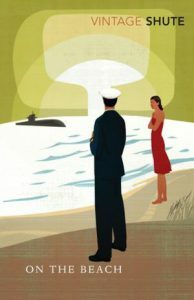 Nevile Shute, the late popular novelist with the no-nonsense style, or lack of style, which bespeaks the trained technologist reader rather than the literary man, has written two flat but interesting novels set in the Australian future. In the Wet looks first at England gone grey and spiritless with socialism and the over-leveling of a one-man one-vote universal franchise, and then transfers the British monarchy — beset by the snarling republicans of the Left — to Australia. It is a touching near-future projection, a marginal effort of the prophetic imagination. His On the Beach, on the other hand, gives us nothing less than the end of the world. Southern Australia awaits the drift, from the already extinguished Northern Hemisphere, of the radiation sickness that is the legacy of World War III. The people of Melbourne and environs live their few months of life with commendable Anglo-Saxon phlegm, having deliberately closed their minds to the coming disaster. but the disaster comes, and human life is snuffed out for ever. This is perhaps the only true ‘close-ended’ novel ever written. No character exists after the final page, but it would be cruel to suggest that no character exists before it either. Shute’s talent was small and lucrative, but his books have ideas, and ideas are no despicable commodity in the post-Huxleyan novel.